The Niles Haunted House Scream Park is not just scary, it is considered by many to be one of the top haunted attractions in the country! Certainly one of the largest, the Niles Haunted House offers 44 acres of blood-curdling fear! Unlike other haunted houses, Niles rebuilds all 6 attractions each year to provide you with completely new and unique shows. 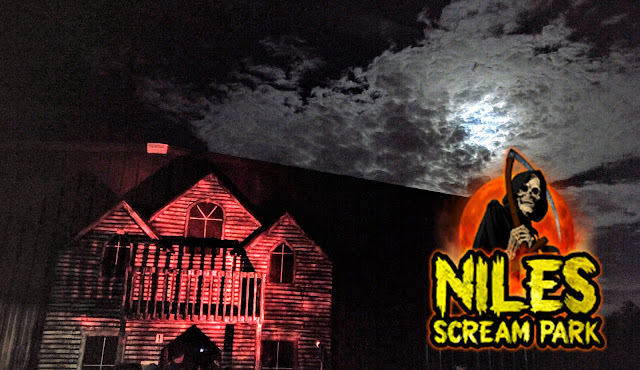 The professionally designed sets and ingenious scare-tactics led The Niles Haunted House Scream Park to be recognized by Haunted Attraction Magazine as one of the “Top 31 Must-See Haunted Attractions” nationwide! This is no mere roadside attraction! Come visit one of the country's premier Haunted Houses!